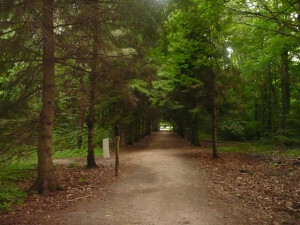 This trail is in a quiet park setting situated on top of the Oak Ridges Moraine. The trail through the park will take you past one of the many tributaries of the East Holland River. This is an excellent start or finish point for the Oak Ridges Trail as the Vandorf Park Trail is part of the Oak Ridges Trail that stretches 200 km across the Moraine. The Whitchurch- Stouffville Museum is situated beside the Park and is an added attraction for those who want to discover more about the history and heritage of the area. With the museum, trail and park setting, this trail is an excellent opportunity for an afternoon full of activities for the whole family: walking, cross-country skiing or picnicking. The woodlands and small ponds in and around the Park enhance the wildlife watching activity available on this trail.